Location, location, location! 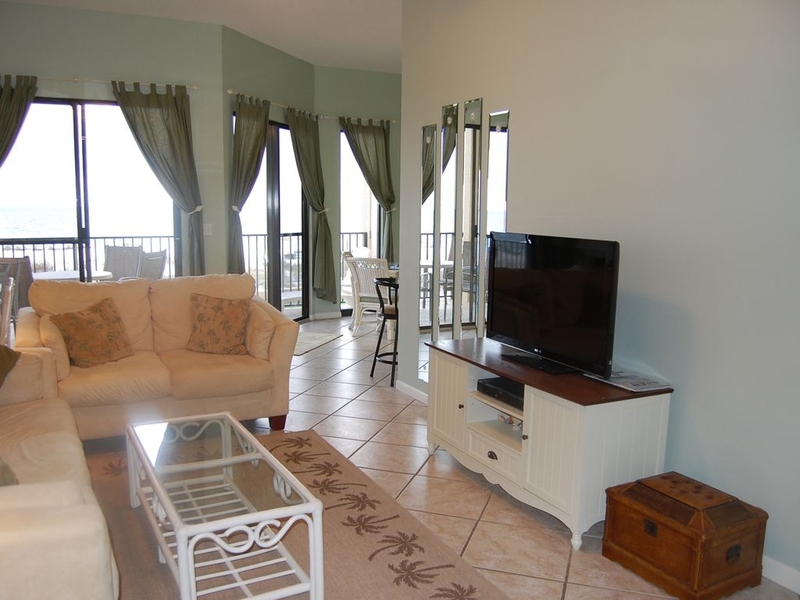 Not only in Phoenix 5 which is prime location in Orange Beach but within the complex. 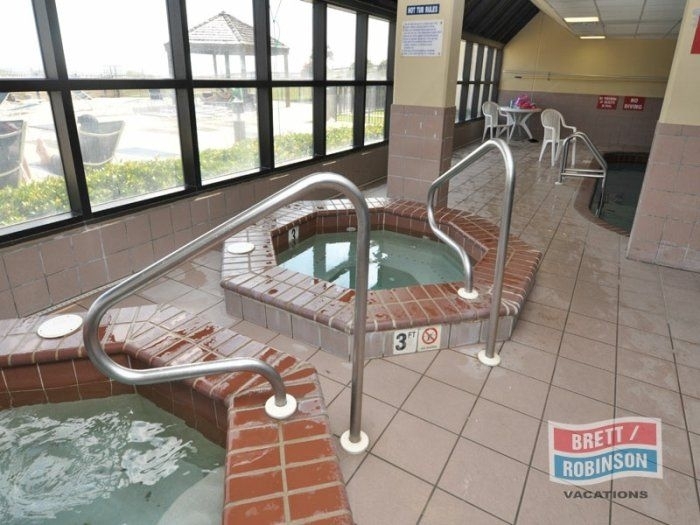 This updated condo is on the lobby level, no stairs or elevators from parking lot. Check Brett Robinson website out & search for Phoenix V, unit 102. Our condo has 12 foot ceilings, only 3 of the 15 floors in Phoenix 5 have this. 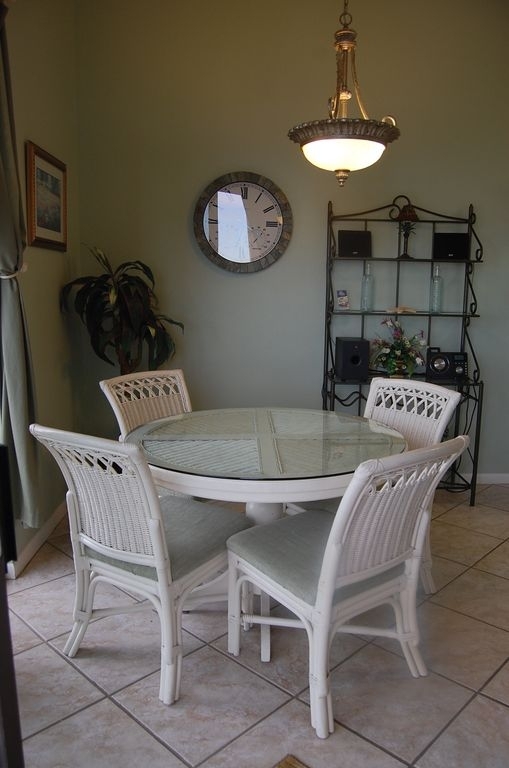 It overlooks the quiet relaxing grassy field, not the busy pool & BBQ area. 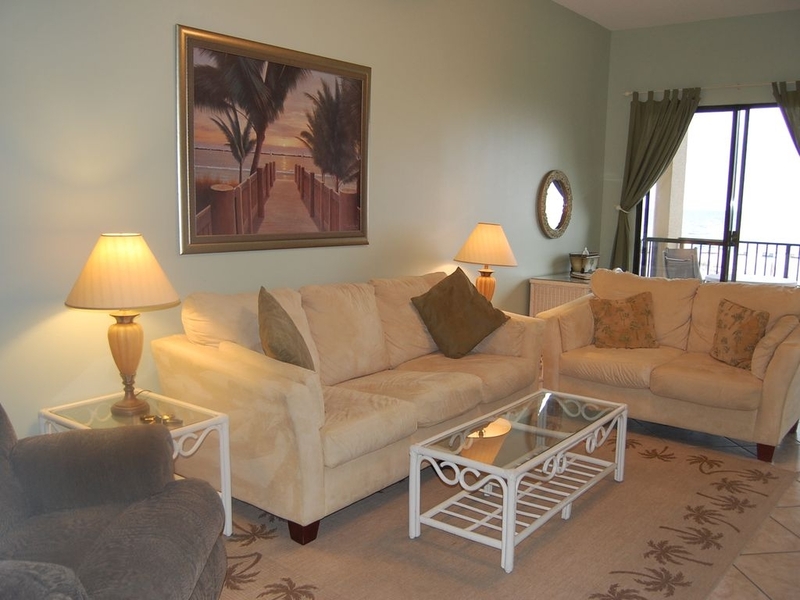 Cool relaxing colors throughout the unit. 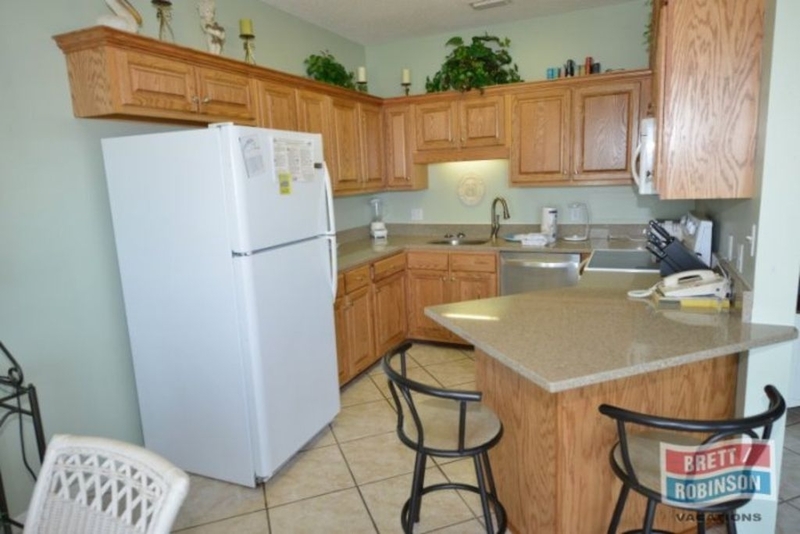 Updated kitchen, quartz countertops, new spring 2013, all appliances. New king bedroom furniture with antique finishes. Flat screen TV's in bedroom and living room. Please look at the pictures to see all the details. Full size washer & dryer. 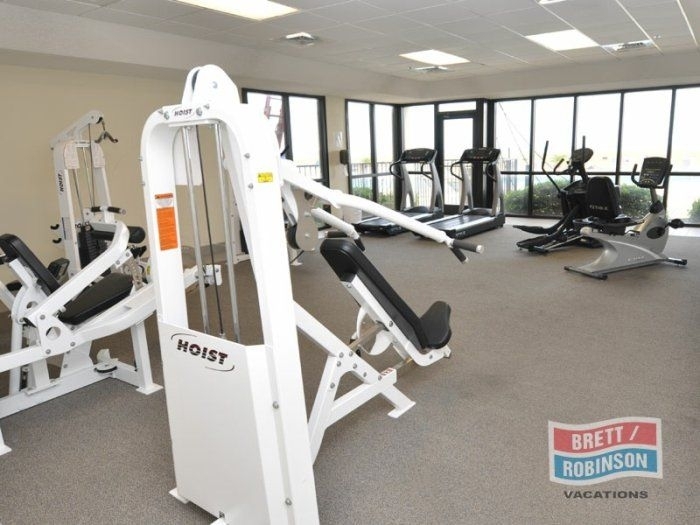 The complex has indoor and outdoor pool, sauna, racketball, tennis, shuffle board, basketball, workout facilities, wireless and BBQ area. Chair rentals on the beach with Ikes Beach Service. 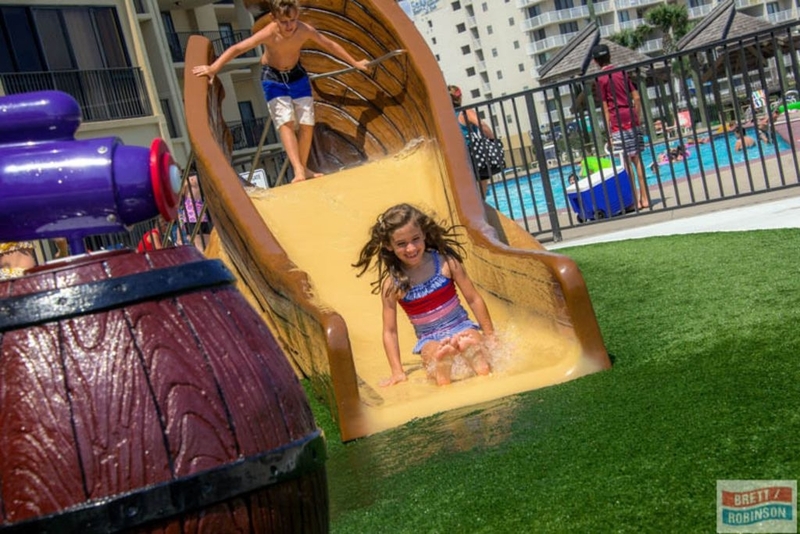 In 2014, new Pirate Ship Splash Play area for kids! Huge hit for families. Winter 2017, all walkways throughout the complex resurfaced. Check in 4pm and check out 10am. 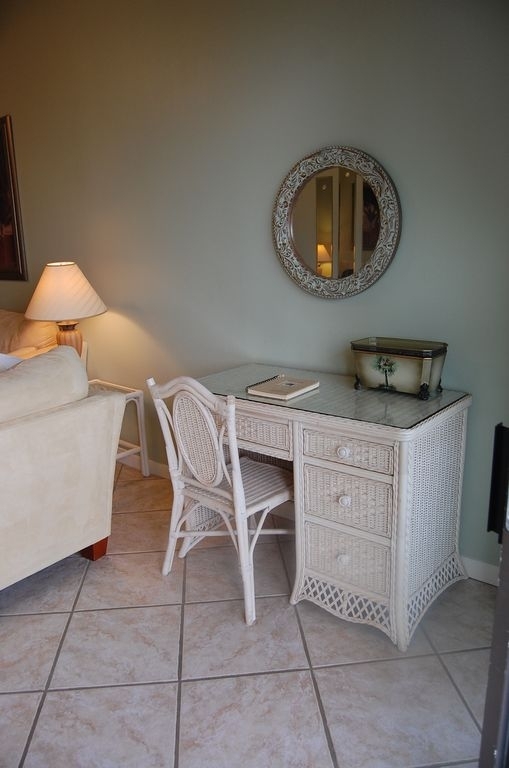 If the unit is ready, the front desk will allow earlier entry. 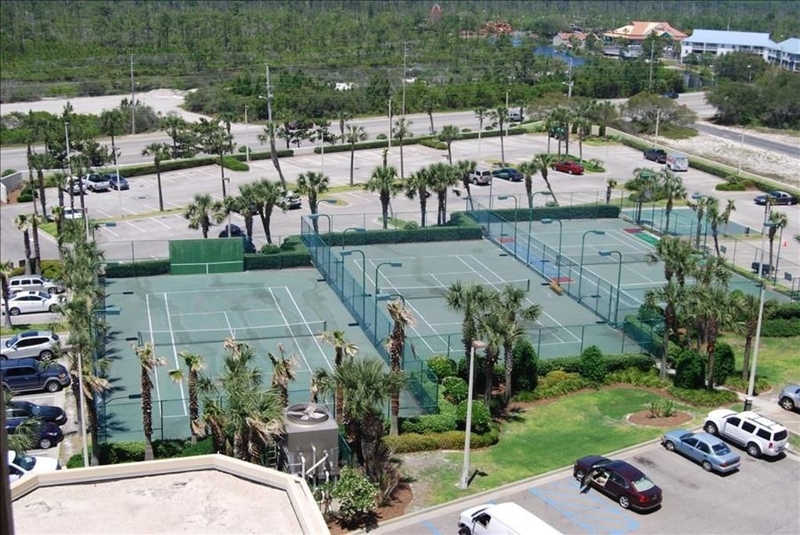 Phoenix V has rachetball court, tennis courts and 1/2 basketball court. 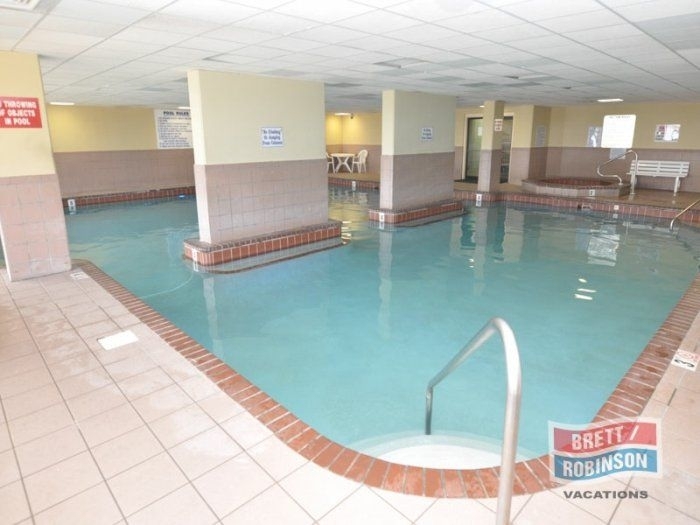 Has an excerise room and indoor pool. 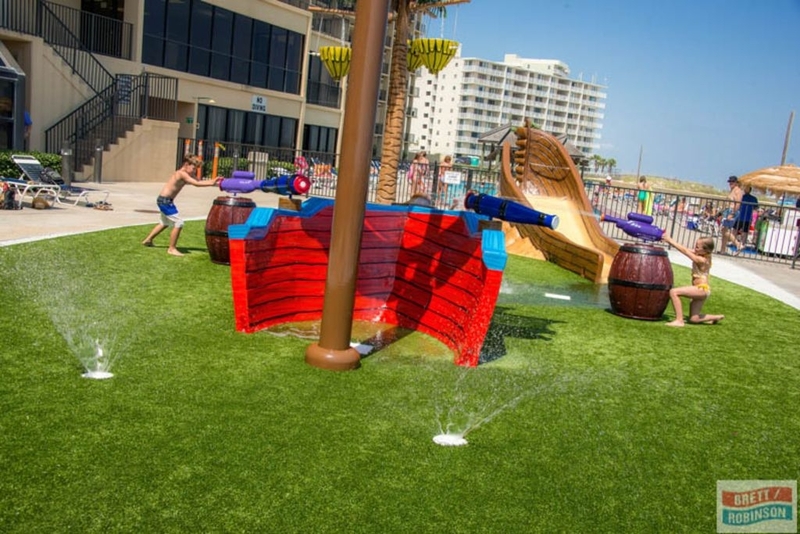 Mini waterpark/splash pad. I follow the Brett Robinson cancelation policies. If you cancel before 7 days prior to arriving a $35 service fee is charged, within 7 days then you lose deposit.  Allow long term rental from October to mid-March. 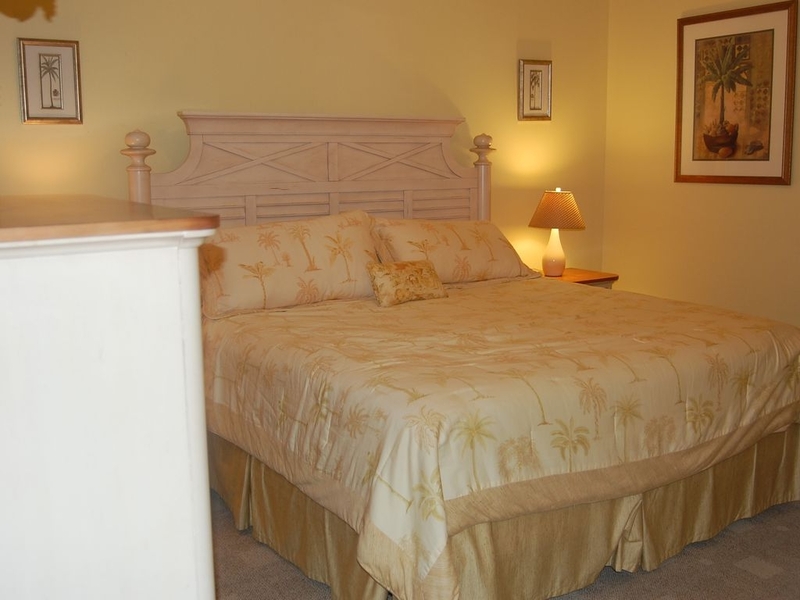 Currently have snowbirds from Dec 2018- mid March 2019.This unit is good for couples or families with 2 or less kids. Good for seniors as from parking lot on same level as lobby/parking lot. No elevators to get to unit. 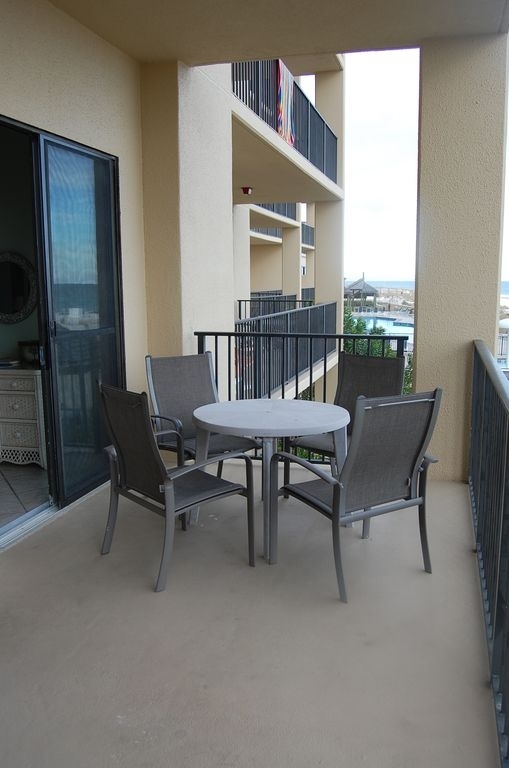 Though there is a lower level below unit from Oceanside. 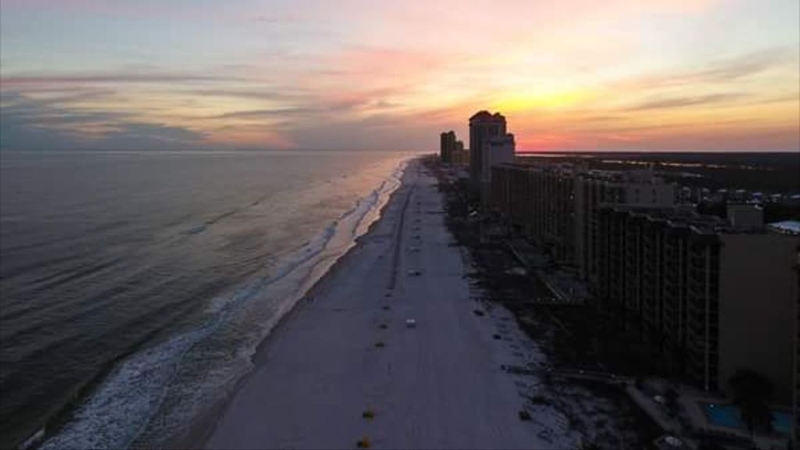 We are from Michigan but have been vacationing in Orange Beach for over 20 years. We love the area & hope you do to. Its a very family centrix area. We have two kids who have grown up loving the sugar white sands.. All the beach activities plus lots to do with kids.. Zoo, Lulu's (Jimmy Buffets sisters place), Hang Out and lots of mini amusement areas.. Ziplines, rollercoasters etc. 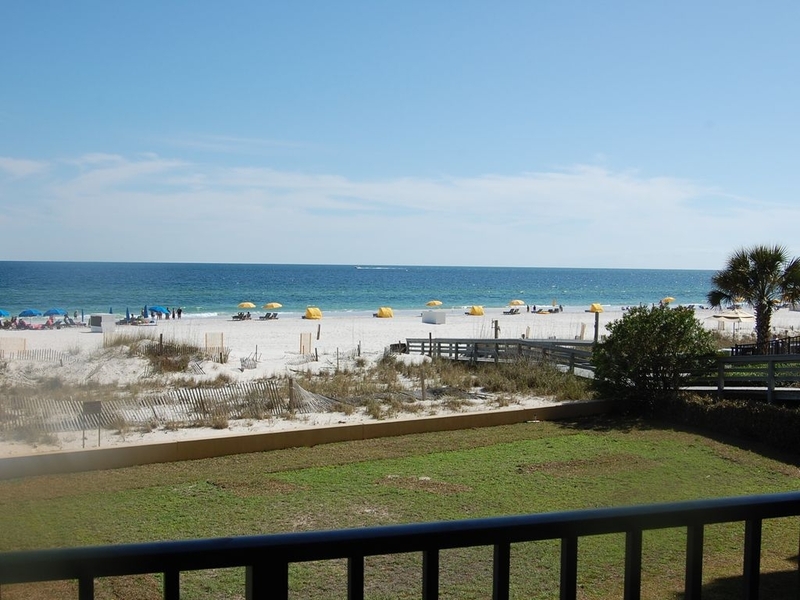 We purchased this condo in 2005 Why Donna Halstead chose Orange Beach Location..
Unit was well equipped and comfortable. Would stay again. 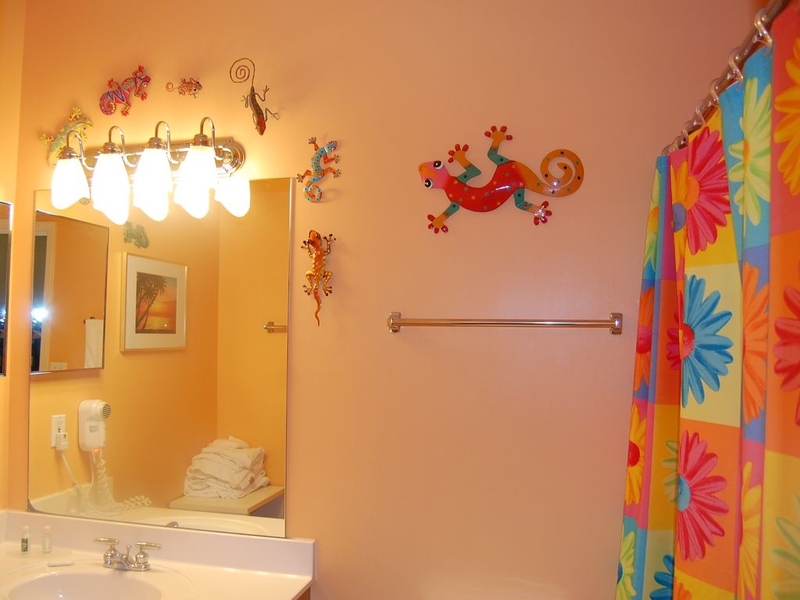 Very clean and nicely decorated! We had a wonderful stay at this property. 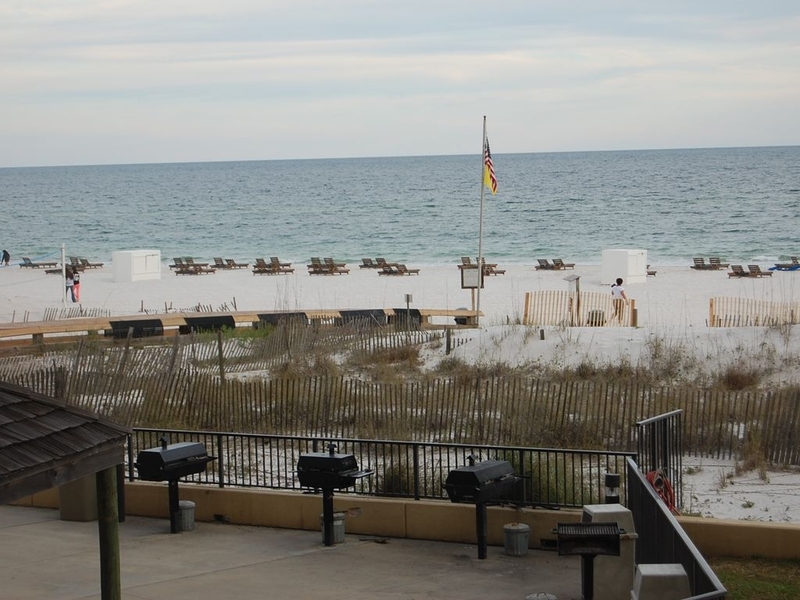 We enjoyed the beachfront View and all the amenities of the property. The kids loved the splash pad right outside the unit. Everything was as described & we enjoyed our time. We would visit again. This place is great. 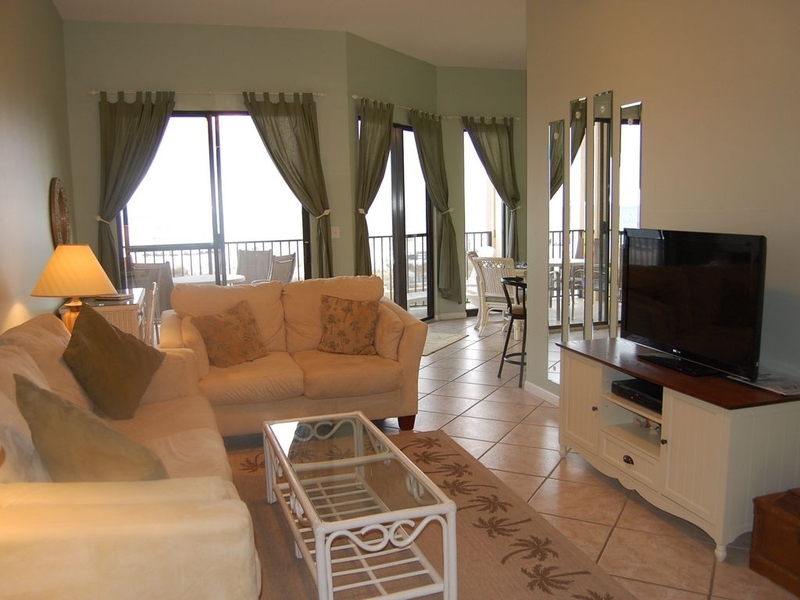 Right on the beach & owner answered all of our questions immediately. Will definitely be staying there again!! 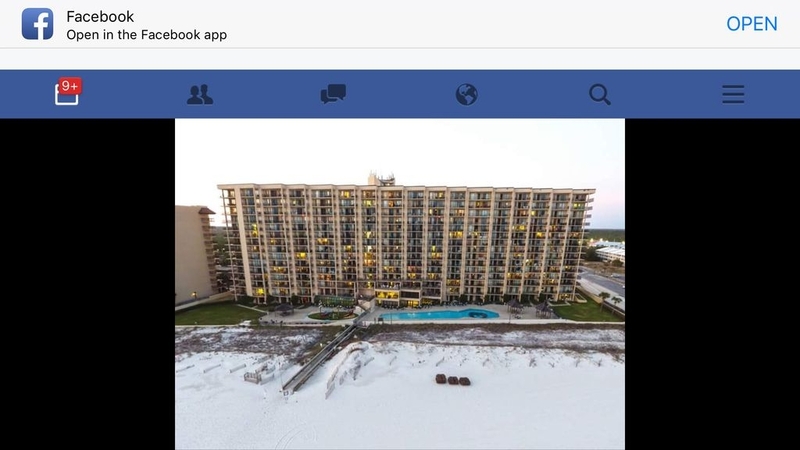 The property looked just like the pictures. It was a great size for my party of 3. I would visit the Phoenix V again. 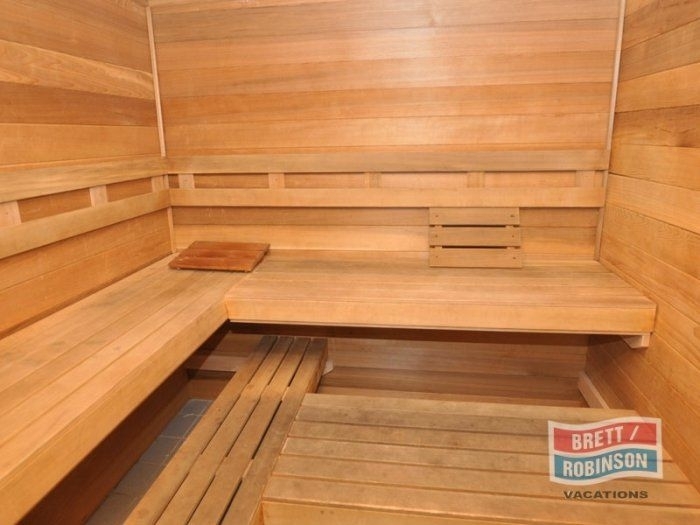 Cute condo, perfect for small family! I loved our stay. The splash pad was a big hit for my kids!